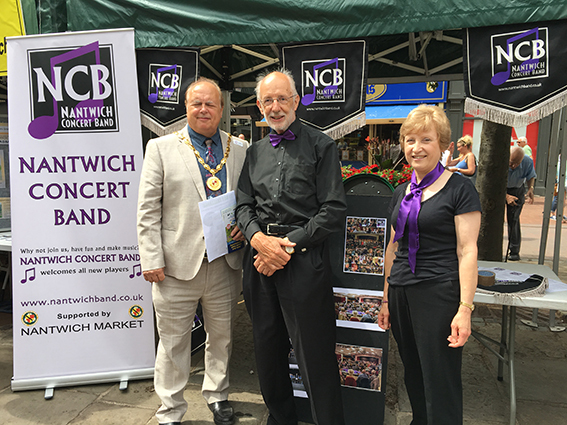 The Nantwich Concert Band was founded in 1983 (then called Nantwich & District Band) for woodwind and brass players of all ages. We offer a varied repertoire of music, from the traditional wind band pieces through to more modern pieces and music from stage and screen. 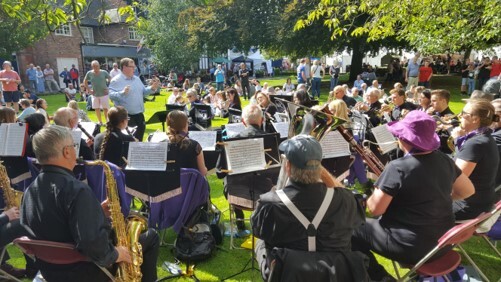 Under the baton of our conductor and Musical Director Nick Birch, the band performs at local fêtes, festivals and carnivals throughout the summer. 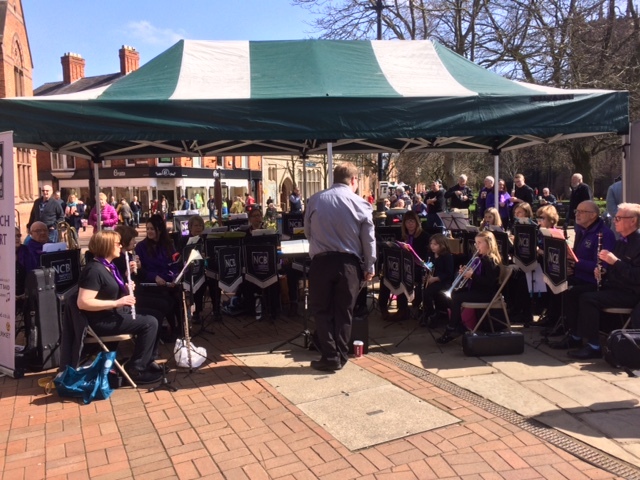 You can hear us on many busy Saturdays in Nantwich Town Square, as well as at the annual Nantwich Show, the beautiful riverside Chester Bandstand and the Nantwich Food Festival. 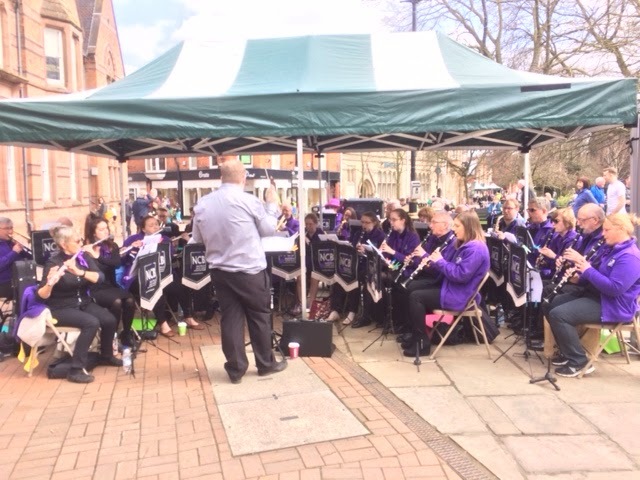 We are particularly busy each Christmas, playing carols in the Square and at other venues around the area. 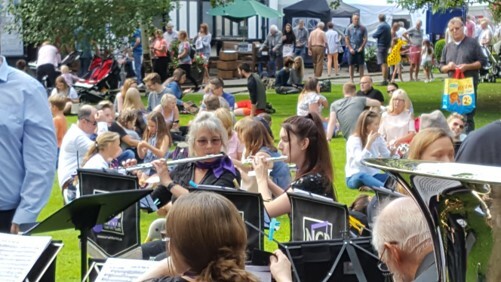 Every June, we hold a formal 'Midsummer Concert' in the Nantwich Civic Hall and a Charity Concert in the beautiful St Mary's Church Nantwich in October. 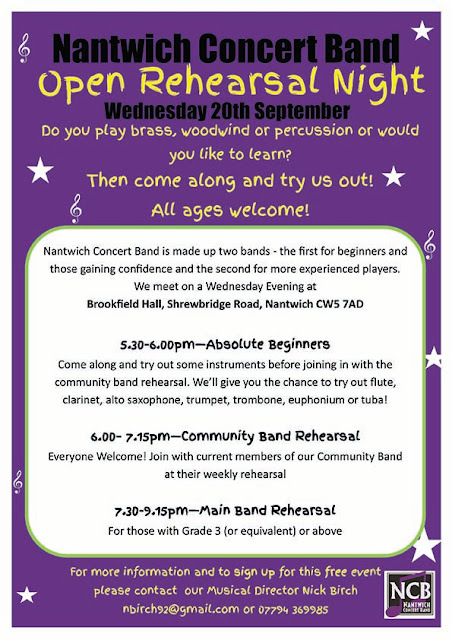 The Nantwich Wind Band is a dedicated training band, open to beginners of all ages, including those wishing to gain confidence in playing as a group. 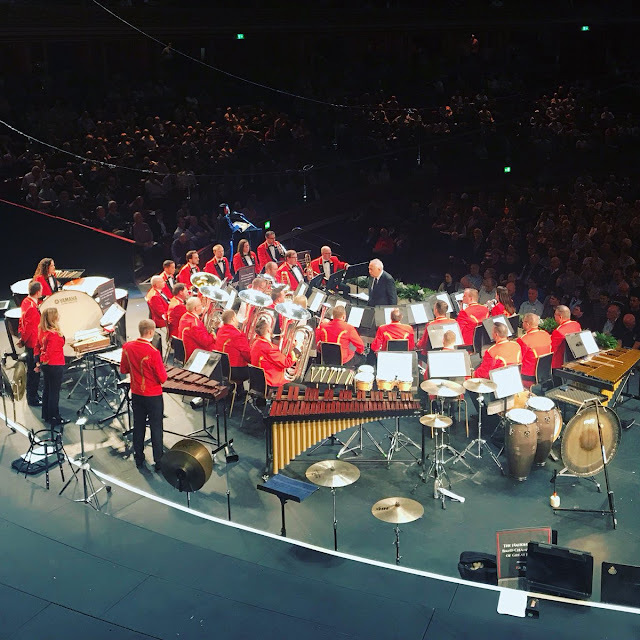 The Wind Band helps players to gain as much musical experience as possible and strives to include a special section for them to perform in the concert programmes. 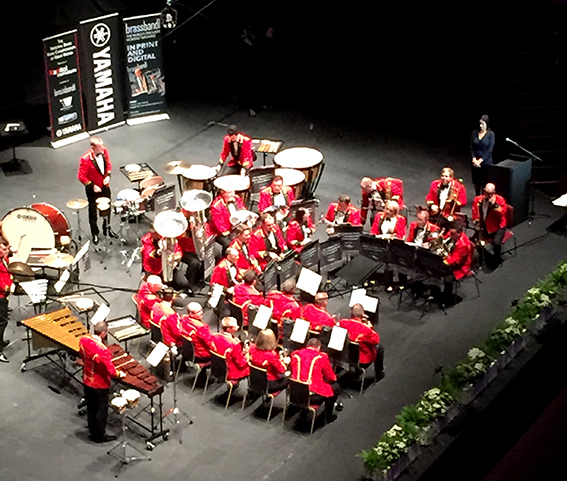 Progression to the main Concert Band is encouraged but not compulsory and players from the main band who find they are struggling can always opt for a 'refresher' in the training band. A few of our Concert Band members come to the Wind Band sessions for the opportunity to gain more experience on their second instruments. Others play an important role as 'mentors' to the new players. and our beginners and improvers Wind Band. We have several new young recruits to the Wind Band who were playing in front of an audience for the first time - Well Done! 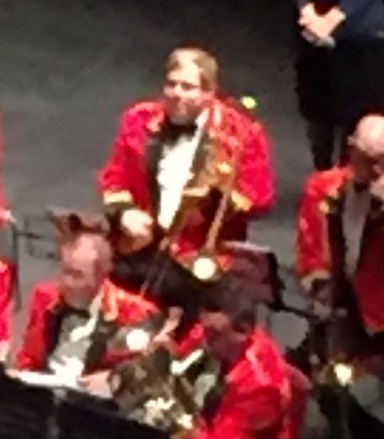 Our MD Nick Birch also plays trombone in the famous Foden's Band and he invited Nantwich Concert Band members to the final rehearsal night, as they prepared for the National Brass Band Championships, held at the Albert Hall on Saturday. Although the rehearsal was in a school sports hall - not the Albert Hall, the quality of the sound the band made was breathtaking! They started, just like we do every rehearsal, with hymn tunes as a warm-up. The quality of the sound made the hairs stand up! Like any rehearsal, conductor, the great Bramwell Tovey, worked on small bits of the piece, 'Gallery' by Howard Snell, getting every nuance right. It's a very challenging piece to play and the troms had some fiendishly difficult passages. Two things immediately struck me - the players only had to be told once of the changes he wanted - and when he stopped, they stopped, something Nick has constantly battled with us about! We learnt so much that evening and as a band we know how lucky we are that Nick brings to us all that experience from having played under famous conductors like Bram Tovey. When they did the whole piece through for a final run at the end, I was blown away by the expressive quality of the interpretation. The slow movement ended on a dying note which just hung in the air like velvet. How DO you do that? The final movement nearly blew the roof off. 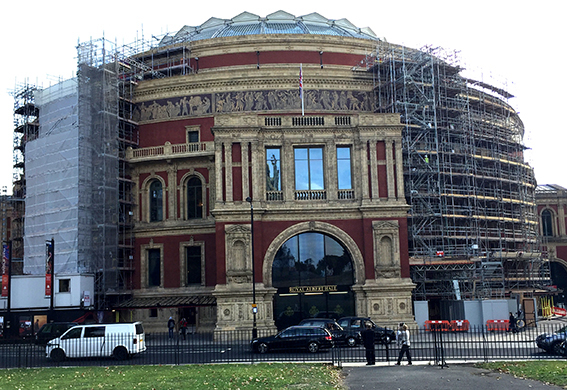 Just imagine what it will sound like in the Albert Hall! I was lucky enough to go and it was a night I will never forget. As a player, it was inspiring. I probably will never hear such good band playing ever again. 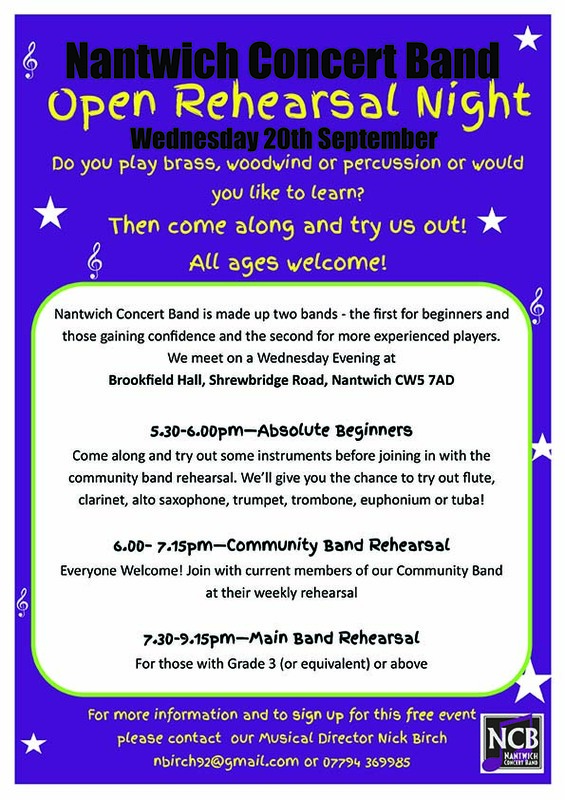 Nantwich Concert Band are VERY proud of you Nick. 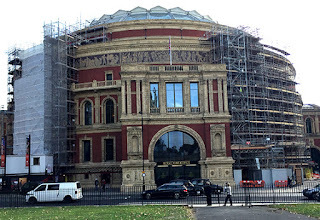 On Saturday the famous Foden's Band with our MD Nick Birch on trombone, were performing in the National Championships of Great Britain in the Albert Hall, playing 'Gallery' a challenging piece by Howard Snell, conducted by the great Bramwell Tovey. I followed their progress all day on the brass band website 4barsrest. 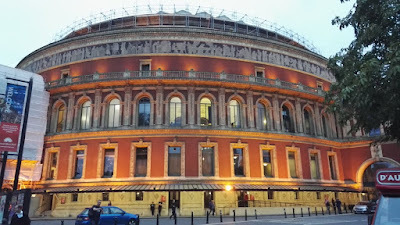 After all 20 bands had performed, Foden's and last year's winner Cory were both hailed as potential winners by all the pundits, after their stunning performances. At the end of a long day, the judges results were in and Foden's were placed 5th, unexpected, but as Nick said 'that's competitions for you!'. We certainly had a great and enthusiastic audience sitting around us on the grass. We played a varied programme from our extensive repertoire of pieces. A perfect way to spend a sunny English Saturday afternoon. We also had good response as we handed out leaflets promoting our 'Open Rehearsal night.